Shareable, vibrant, and decorative — stickers are the ultimate promo item for your brand or business. We’ll show you how to quickly design a bold image from start to finish using Adobe’s mobile apps and prepare for professional vinyl printing. 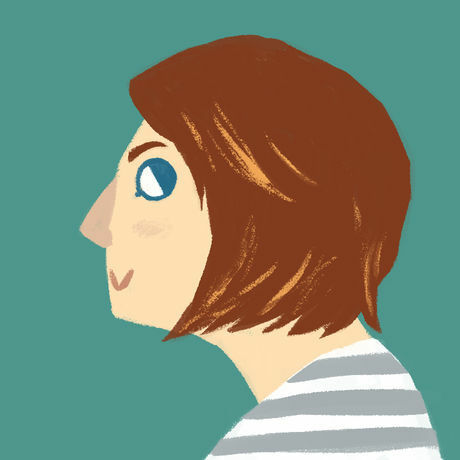 Wren Sauer is an illustrator and marketing specialist at Adobe in San Jose, CA. By night, she makes vibrant imagery for all types of projects and products. Her sticker collection is unnecessarily large. An iPad + Pencil is strongly recommended for this workshop. We’ll have several on hand but not enough for everyone. Download Adobe Photoshop Sketch, Illustrator Draw, and Capture CC — all are available for free in the App Store. They’re back! We’re excited to share that FieldTrips are coming back to CreativeMornings/SanFrancisco in partnership with Adobe. Learn more about how to host a FieldTrip here. Sticker Mule is the fastest & easiest way to buy custom printed products. Powered by a 100% remote team, we operate in 12 countries and ship worldwide to thousands of customers. We provide free online proofs, free artwork help, free worldwide shipping, blazing fast turnaround and 24/7 customer support.